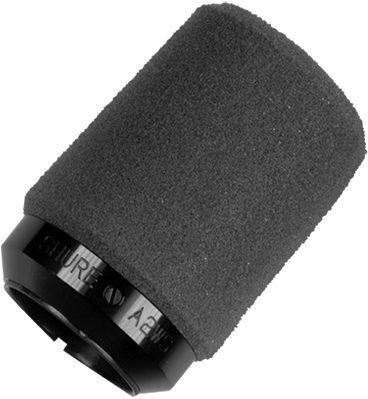 When used in conjunction with the 545 Series or SM57 microphones, the A2WS can reduce unwanted external wind signals, and features a locking feature. S.N. Shure began his company's relationship with the products of personal sound by launching a one-man operation in 1925 that sold radio parts kits. Since then, Shure microphones and audio electronics have been the tools of choice for politicians, musicians, corporations, churches, and broadcasters across the world. Anyone who considers sound to be an important part of his or her self-expression has probably used one of Shure's microphones, phonograph needles, or other professional audio products.